Rack Zinc Plating - Chem Processing Inc.
Zinc electroplating is an efficient form of corrosion protection that improves the appearance of steel parts. Zinc plating is often performed in rotating barrels, which is adequate for small parts without precision features. For high-value parts with precision-machined features, fasteners with delicate threads, or heavily engineered components with tight tolerances, rack zinc plating is the preferred finishing method. 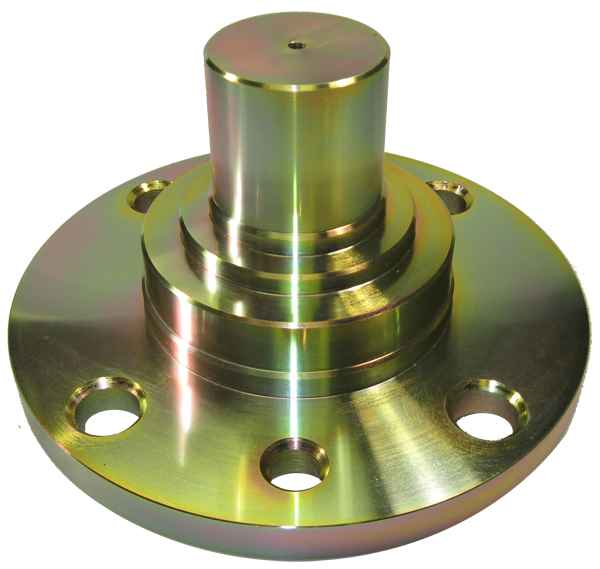 Because Chem Processing, Inc. utilizes both acid chloride and alkaline zinc plating chemistries, it is possible to plate into recesses and cavities that would not receive coverage in a typical process. For information on this kind of specialized plating, contact our engineering department. Chem Processing Inc. offers clear, yellow and black RoHS compliant post-plate treatments, as well as yellow dichromate and olive drab hexavalent chromate conversion coatings. Chem Processing, Inc. also offers a range of inorganic and organic topcoats, such as Doerken Delta Seal, that can significantly enhance the corrosion protection offered by rack zinc plating. Plating thickness range of 0.0001 to 0.002 in. Chem Processing Inc. offers precision rack zinc plating services to Illinois, Wisconsin, Iowa, the Midwest and beyond. CPI is strategically located by highway routes to Chicago, Milwaukee, Madison, St. Louis, and Minneapolis. The CPI facility is minutes from a major Midwestern air freight hub , enabling efficient door-to-door delivery across the United States or across the globe.